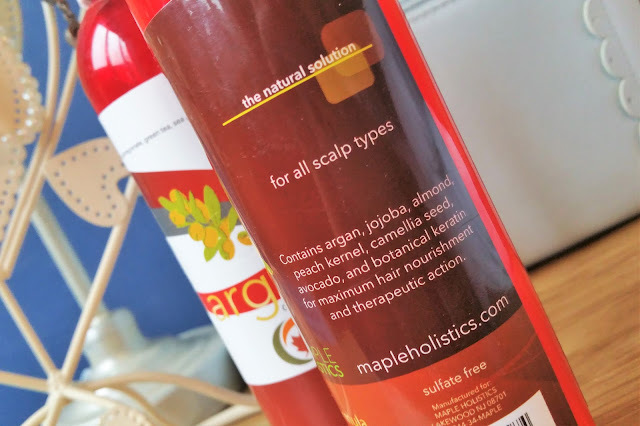 Recently I was very kindly sent two haircare products from US based beauty company, Maple Holistics: their bestselling Argan Special Formula Shampoo* & Conditioner*. Maple Holisitcs promise to use only the purest and highest quality ingredients in their products. The Argan Oil Shampoo for example contains a natural blend of argan (also known as Moroccan Oil, to restore shine), jojoba, peach kernel (for it’s regenerative and moisturising properties), almond (to help soothe dry and irritated scalps), camellia seed (to condition and nourish) and avocado (which contains vitamins A, B1, B2, D & E) to give maximum ‘therapeutic action’. Also, both products are cruelty-free which always makes me incredibly happy to hear! The sulfate-free shampoo is fragranced with a lovely, delicate vanilla and honey scent. It’s suitable for all scalp types, especially those with sensitive skin. The light-weight formula lathers up well and gives my scalp a deep, soothing clean. The conditioner (enriched with shea butter, green tea and pomegranate) is fragrance-free and deeply nourishes the hair leaving it soft, silky and strong. I’ve been using the Maple Holistics Argan Shampoo and Conditioner for over two weeks now and my hair has never looked more shiny and healthy. Neither of the products leave any lingering greasy residue and the combination of natural essential oils has helped to restore my colour-treated, straightener-damaged hair to it’s former glory. 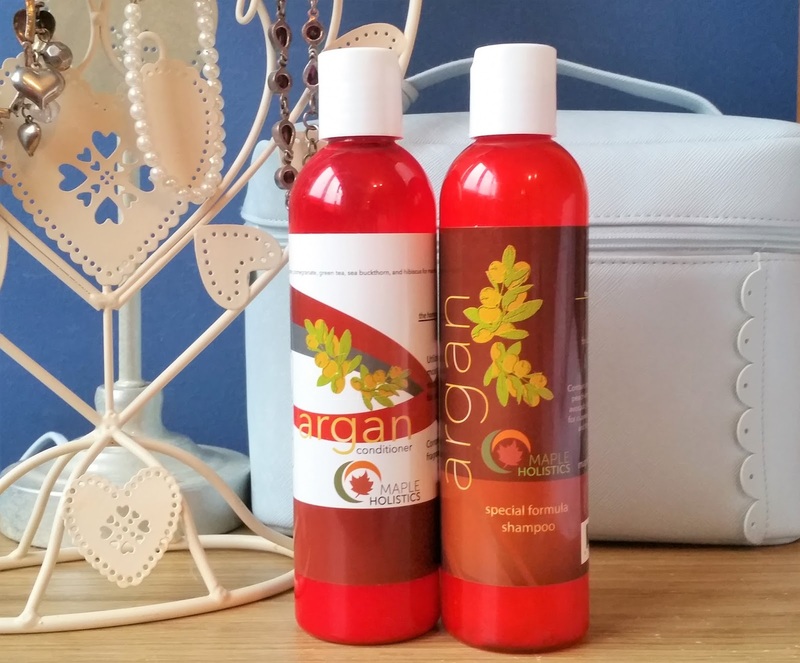 For a chance to win both the Argan Shampoo and Conditioner enter my giveaway below! To be in with a chance of winning one Argan Oil Shampoo & one Argan Oil Conditioner, enter via the Rafflecopter widget below. ALL mandatory entries MUST be complete or you will be completely disqualified. The giveaway will run for three weeks, from Wednesday 7th October 2015 until Wednesday 28th October 2015 12:00am GMT. If you are a blogger interested in working with Maple Holistics check out their website – mapleholistics.com/free-products for more information about their blogger connection sponsored by edumuch.com. "Wedding | When Geeks Wed…"
"The Lush Comforter Bubble Bar Review"